The pension fund is doubling down on its relationships with Ardian and Lexington due to the hot market and what it sees as a lack of differentiation between secondaries firms. 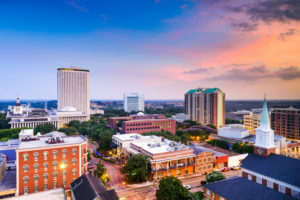 Florida State Board of Administration has extended its long relationship with Ardian with a commitment to its latest dedicated secondaries fund. The pension invested $200 million in the firm’s ASF VIII vehicle, according to a quarterly update posted on its website. Florida SBA committed $925 million to private equity in the third quarter. The commitment to ASF VIII is $50 million more than it invested in its predecessor, ASF VII, which raised $14 billion by final close in 2016, according to PEI data. Florida SBA is actively trying to increase its secondaries exposure by investing only in Ardian and Lexington Partners funds, according to documents prepared for its September investment committee meeting. The pension had committed $250 million to Lexington Capital Partners IX, according to a quarterly update. The $194.1 billion pension has previously invested with secondaries managers including Pomona Capital and W Capital. He added that Florida would continue to pursue co-investment opportunities via Ardian and Lexington co-investment vehicles, provided there is no carry requirement. Fees on these deals tended to be in the range of 25-40 basis points, he added. Florida’s relationship with Ardian stretches back to the 2010-vintage ASF V. The first Lexington Partners fund in which it invested was the 2000-vintage Fund IV, according to PEI data. Ardian is seeking $12 billion for ASF VIII. It has collected $1.09 billion so far from US investors, Secondaries Investor reported on Friday.